Go to the library databases page. This page will open in a new tab or window. First set up an I.D. and password. You will need this to set up alerts. 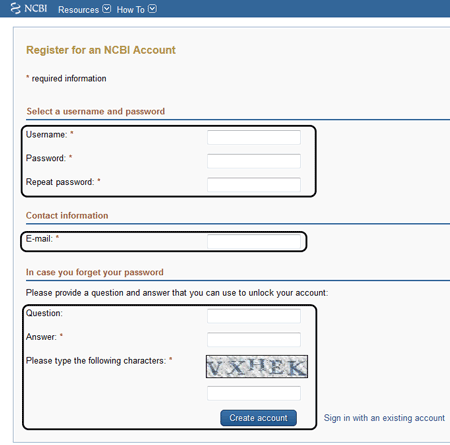 If you want to make a myNCBI account, click on Register for an NCBI account. Fill out the Registration Fields. 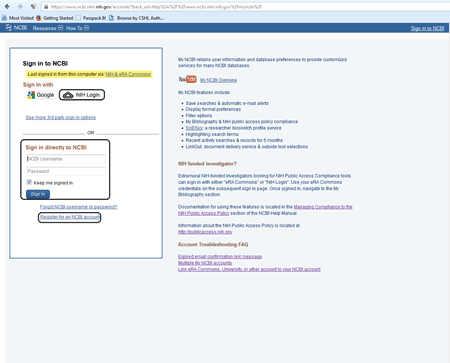 Click on Create Account when done.